I have been a fan of the original Monitor Series having owned at various times 4's, 5's,7's and two pairs of 10's. As other speakers made their way into my orbit the Monitors moved to other audio enthusiasts. Well that all changed on Saturday when I was able to pick up a neglected looking pair of RTA-12's at a local estate sale. They cleaned up nicely and even better all drivers are working as they should. I'm very impressed with their sound! I'm currently running them with a Pioneer Elite A35R which runs about 60 WPC at 4 Ohms. I believe that they are 12C's since they do not use a fuse to protect the tweeter. I'm looking to all of the Polk experts here to give me your advice on sources to run with them and if there are any best practices for placement of these speakers. Thanks! You need more headroom for the 12s. Positioning will be like any standard speaker (as opposed to SDA placement). 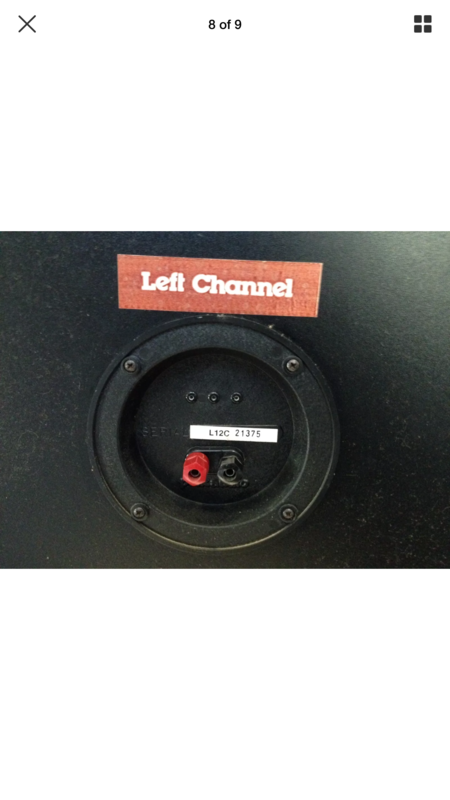 I'm a NAD fan so I would (do) go that route because I know the headroom is there and the current is available. Polk and NAD seem to pair well anyway. I liked mine with quite a bit of toe in. Awesome sounding speakers, best of the vintage Polks that aren't SDAs IMO. If you have that setup, then fine listen to the music, but when you really want to here them pull them out and toe them in a little. Thanks everyone for the advice. I do have a NAD D3020 that I think can drive them but I will have to check it's specs for 4ohms. In the little research I done some have said that the RTA's benefit from a bit of power. My listening space is only 11x13 so not too big which is why I don't have any big power amps. I think the Pioneer Elite does a good job for this space but if there is something that has proven following with this speaker I would like to give it a shot since I am big believer in the synergy that often exists between a specific speaker and source. I drive my RTA12C's with a late 70's Kenwood KA-7150 (conservative 60WPC) and they sound great! Also, adding RD0194 tweeters really made them smooth. Someday a re-cap is in order but for now they're probably my favorites! Enjoy! Just because you don't have a big space to fill doesn't mean the speakers can't benefit from a heafty amp, even (or especially) at low levels. The D3020 can handle 4 ohms, but don't expect any miracles. It can't provide the current the 12s want. If you want to stick with NAD, a 214 or 2200PE would be where I start. Parasound, Adcom, Rotel or if you're feeling frugal, a Sonance 2120 would fit the bill as well. Thanks for the advice and I agree with you on the D 3020. It is a amazing amp for its size and weight but it really shines driving a efficient 8 ohm speaker. It is times like this that I regret selling my Adcom system. At the moment I am listening to a SACD copy of Allman Brothers "Eat a Peach" at a pretty decent volume and the Pioneer Elite is doing a great job. Still so impressed with the imaging of the RTA's. So easy to hear how every instrument is set up on stage. They are giving my Rogers LS3/6's a run for their money. Still so impressed with the imaging of the RTA's. So easy to hear how every instrument is set up on stage. They are very good. I gave mine (B's with Peerless) to a friend for Christmas but I told him if he ever doesn't want them anymore for any reason they're coming right back to me. Shop called today and my Sansui 5000x is ready to go. It looks like it can handle a 4 ohm load so I think I will see how handles the RTA's. Interesting. I still have my Sherwood S9600 CP as my receiver/amplifier. I bought it new in March of 1981. The first pair of speakers it got hooked up to were a pair of RTA 12s. Had no problem whatsoever of powering the 12s. Didn't even run hot, just a little warm. Sounded VERY good! I was in college at the time, and was going home on break, and had a sponser family that agreed to keep my stereo equipment for me over the spring break and summer. Wasn't allowed to have stereo gear until 2nd year in college, back in those days. In late August, I found my Sherwood hooked up to the RTA 12s, and had been for the whole spring/summer. Bob had replaced his Yamaha with my Sherwood for 5 months, since as a favor, I bought the Sherwood on his credit card with promise to pay him back. $360 was a good bit of money for me back then. (Yes, I paid him back plus his interest). He said it drove his 12s effortlessly. His Yamaha sounded a little strained, according to him. 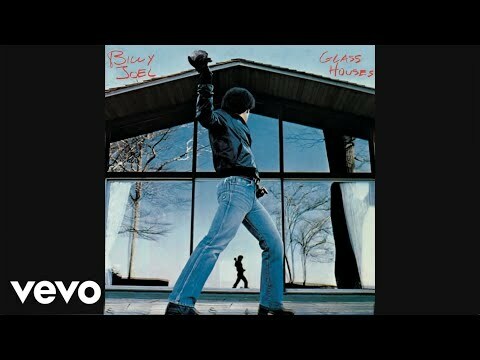 The first record I heard on the 12s was Billy Joel's "Glass Houses". Bob was from the Boston area, and was a boyhood friend of Billy Joel's. On the opening salvo of the first track, I just remember becoming hooked on Polk speakers, and have been ever since. I think Billy Joel sounded great on ANY STEREO back then. I remember playing his albums over and over again. There was just something about his sound. Great songwriting and composing, I believe. Songs from his heart. Ok. So imagine you haven't heard these RTA 12s EVER. Never heard of Polk Audio, for that matter. You are 18 years old, first year in college. A sponser family dad wants you to hear something, since you both were talking stereos. He turns on his receiver, picks up an LP, removes it from its jacket and sleeve, and places it on his Denon DP47F turntable. The RTA 12s are about 13 feet in front of you. They look big, hi-tech, and dark. The receiver's volume is at the 12 o'clock position. Cool story. I don't know about listening to that song in perticular at 12:00 on the dial though. Maybe with the contour button pushed in. I always loved seeing peoples faces when they hear what GREAT music can sound like in a home stereo. Most only know about live venues or small or bad systems. I've spoiled quite a few. Does this sticker denote an RTA 12'C'? Are those the most desired? Thank you all for your time. Well the 5000x just didn't pair up as well the A35 did. No harm no foul and I still have a great combo spinning magic. Did you get the hats with them? Any chance you can get a full front photo and a photo of the upper crossover? Would like to compare to my 12b crossover.